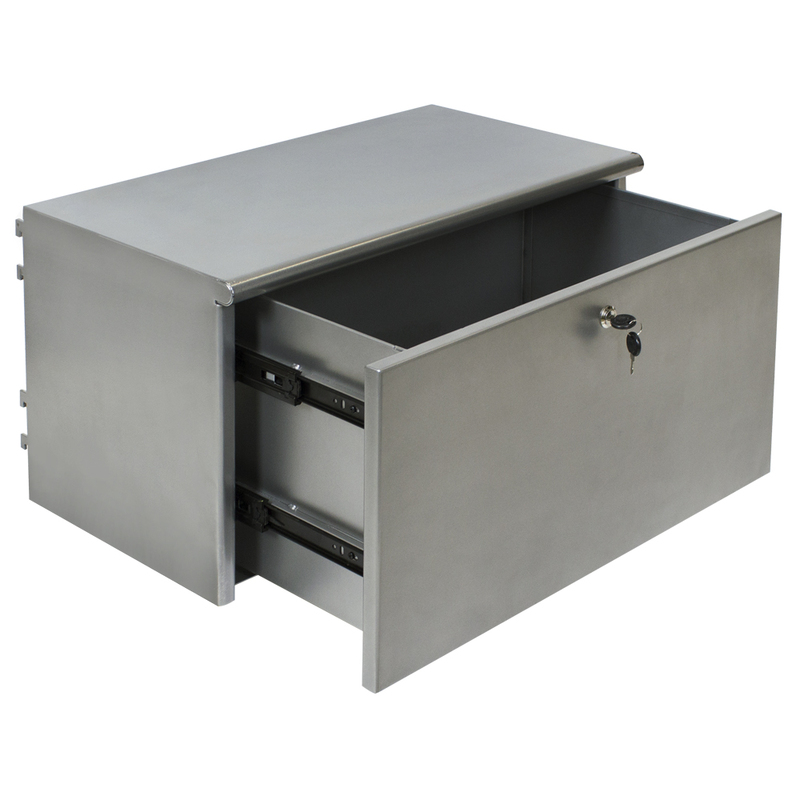 Add this locking drawer to your Di Simo fixtures. This attractive and mutli functional metal drawer fits on to the slots of our Di Simo floor displays and outriggers when spaced 24 in. apart. Features smooth drawer glides and lock.